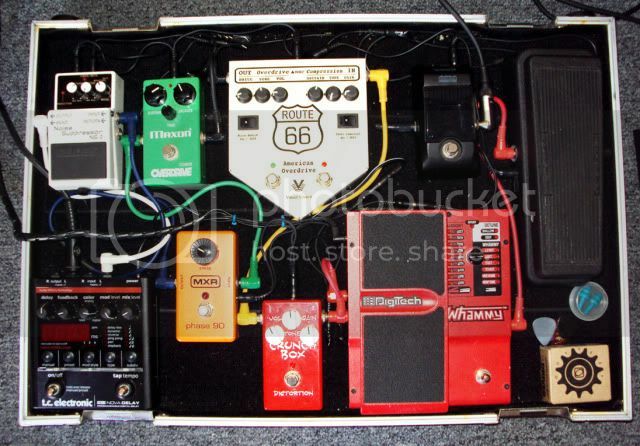 Hi guys just wanted to start this thread so that everyone can see each others pedalboard. 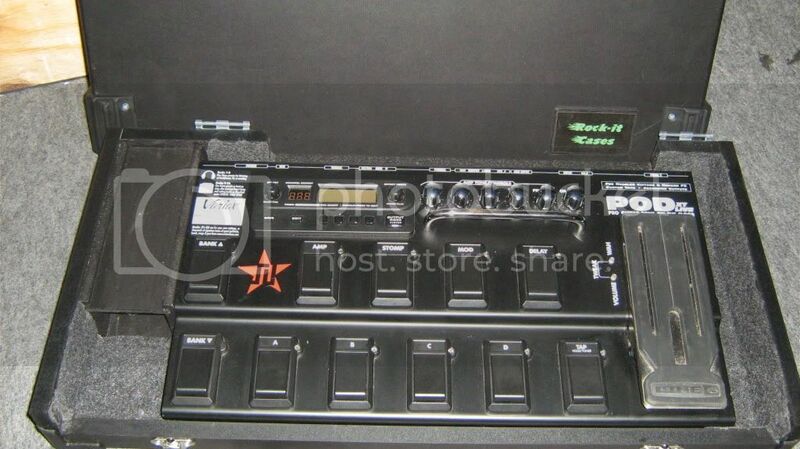 So here is mine pretty simple just a Boss ME-50 & i am going 2 buy myself a digitech hot head & some other pedals. 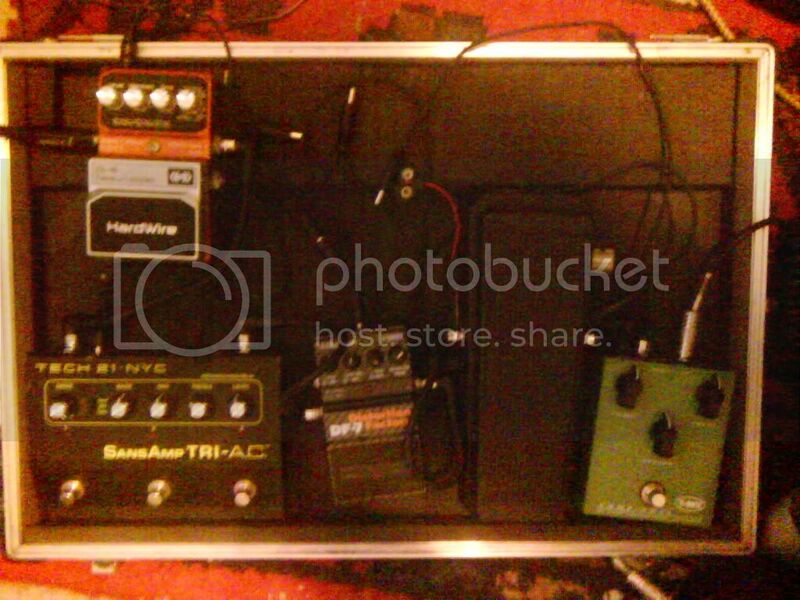 So guyz start posting pics of your pedalboard. 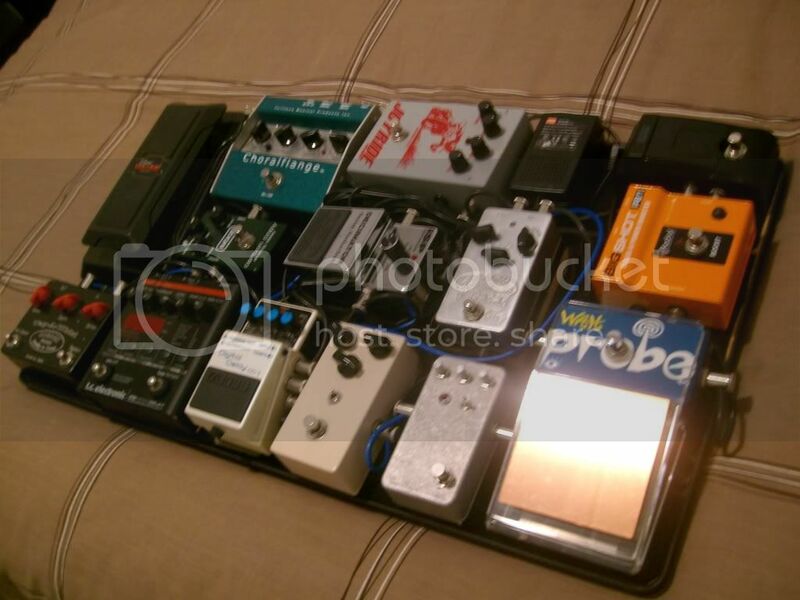 I dont have a photo of my board yet so just got some photos of the pedals off the net. Adding the Nova Delay, Nova Reverb and Proco Rat. Removing the Ibby DE-7 and the Bad Monkey. Heres my setup, i have changed the order abit since this pic. I am thinking about selling the Digitech Whammy and using that space for a decent power supply or maybe 1 or 2 other pedals. 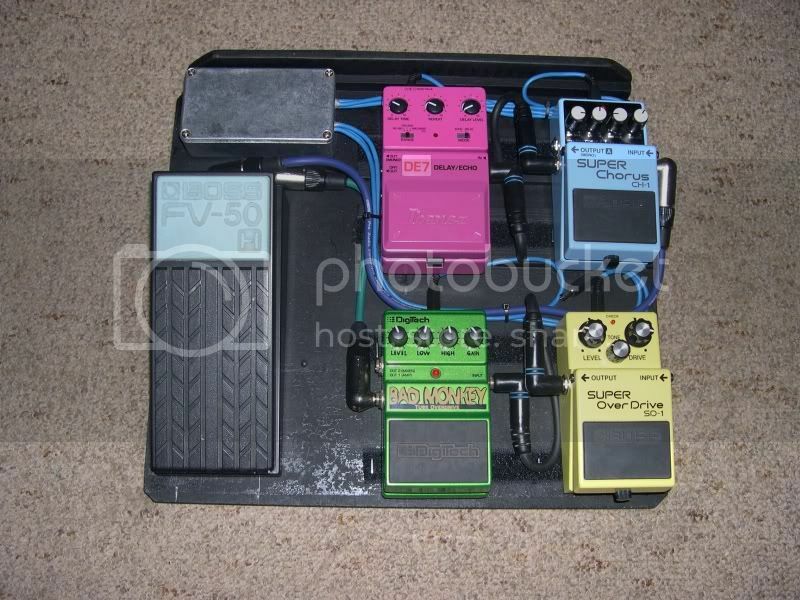 I have a grand total of 1 pedal, and 1 foot switch for clean/OD channel. A pic from a few months ago. It's a bit different now so I'll post a new photo later in the week. The Phase 90 is now on shadow1's board. Plus a couple other changes. 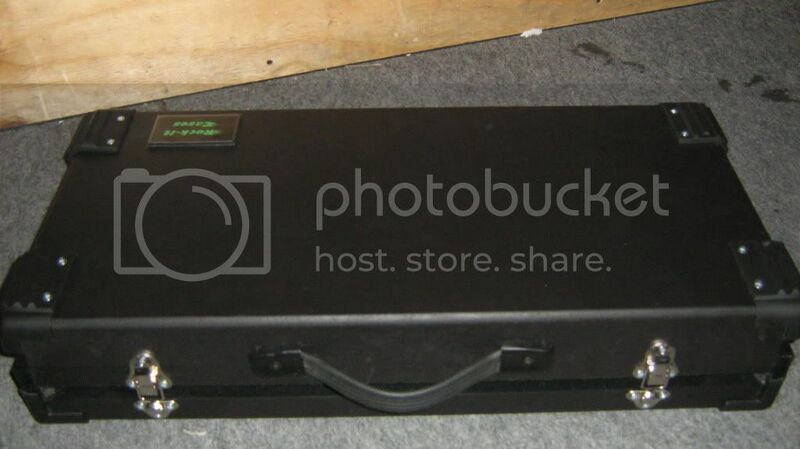 Haha...when I posted this on The Gear Page a few months ago nobody even batted an eyelid! 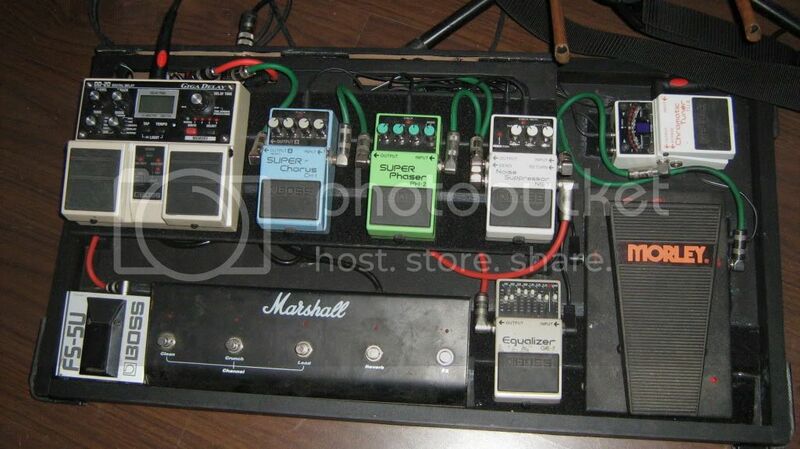 They all have crazy expensive boutique pedals so mine's kind of low class in comparison to the TGPers. I like all my MI Audio pedals. The Neo Fuzz is a very versatile pedal. It does stutter/ velcro fuzz like the Fuzz Factory, Fuzz Face impersonations, smooth low gain almost-overdrive as well as huge wall of fuzz sounds. The great things is that it has a mid control ("body") so I can actually get it to cut through live unlike every other fuzz I've tried. I actually sold it to MIKA and missed it so much I traded a Catalinbread SCOD with him to get it back. I also got the Blue Boy from MIKA in a trade. We're pedal buddies! I love the BBD. Like you said, it's so smooth sounding. I also love how uncompressed it is. Running it at 18V also helps. I'm waiting for one or two additions to arrive, then I'll post a new pic of mine. did you buy this case or did you make it? Yeah! I made both these cases/boards myself . It took a while as I've got limited time available for "fun" stuff like this. I'm going to be making a few more soon 8) Post pics I will!!!! Hey TomCat how is the digitech bad monkey? 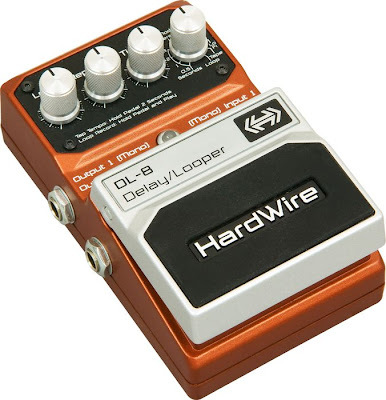 i am looking 2 buy it & alot of people say that it is a very reliable & lekker pedal. josh wrote: Hey TomCat how is the digitech bad monkey? The pedal has served us well and has proved to be very reliable. Skywalker wrote: Yeah! I made both these cases/boards myself . It took a while as I've got limited time available for "fun" stuff like this. I'm going to be making a few more soon 8) Post pics I will!!!! Love it, man. would you mind giving me the low down on how you make those cool cases? 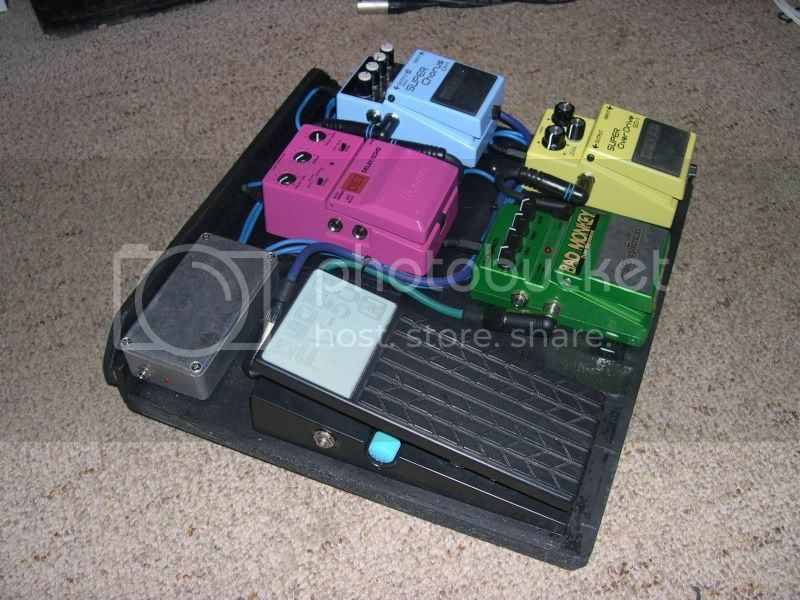 My pedalboard that i've been building for the past two weeks since i sold my gt8! Wow i'm just so happy with the setup. way better than multis! T-Rex comp nova (compressor), 535Q Crybaby (Wah), Digitech Distortion Factory df 7 (For heaviear sounds), Sansamp Tri-Ac (use clean channel as preamp for Df 7, to warm it up a bit, and other two channnels more for crunch and light overdrive), and finally my latest acquisition, the Digitech Hardwire DL- 8. And main amp and guitar I'm playing it through. Laney Lionheart 4 x 10 and Nashville tele. I was using this board up until about three weeks ago. Moved on to an flight case and whole lotta space. Freekin heavy but it keeps my pedals safe. 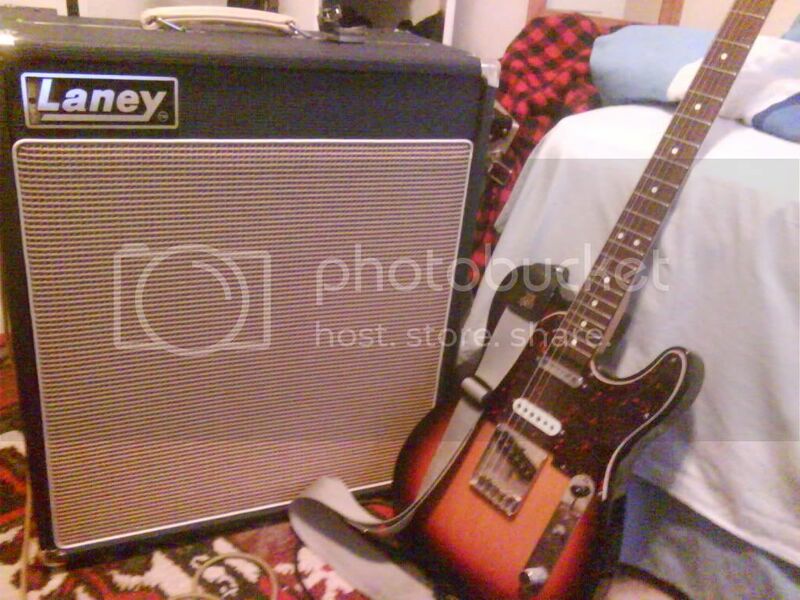 Aldertguitarist, I love your amp! So jealous! JoeyBones wrote: I was using this board up until about three weeks ago. Moved on to an flight case and whole lotta space. Freekin heavy but it keeps my pedals safe.